Fill in the Missing Numbers Worksheets. Check out this set of counting worksheets which helps kids practice counting to the numbers 10, 20, 25, 50 and 100. 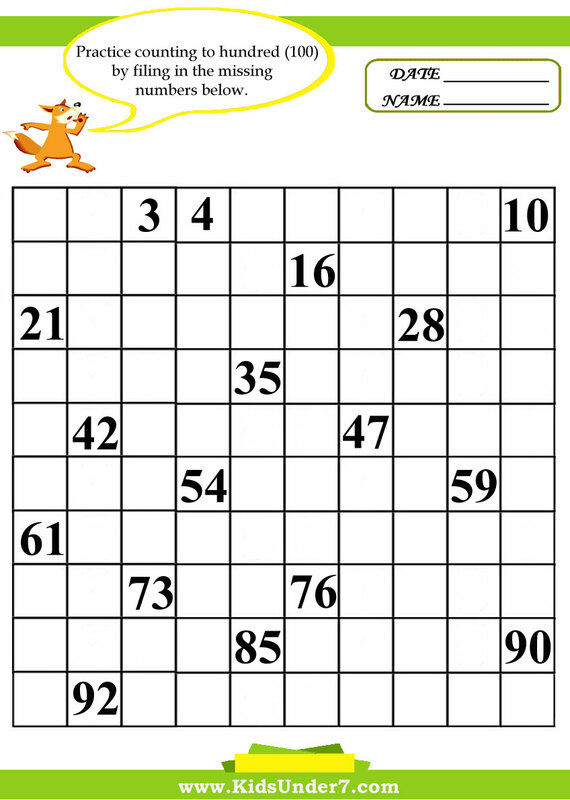 Kids are asked to look at the grid of numbers and fill in the missing numbers to count up to 10, 20, 25, 50 and 100. Some of the numbers are already filled in to help kids. 1. Count to 10. 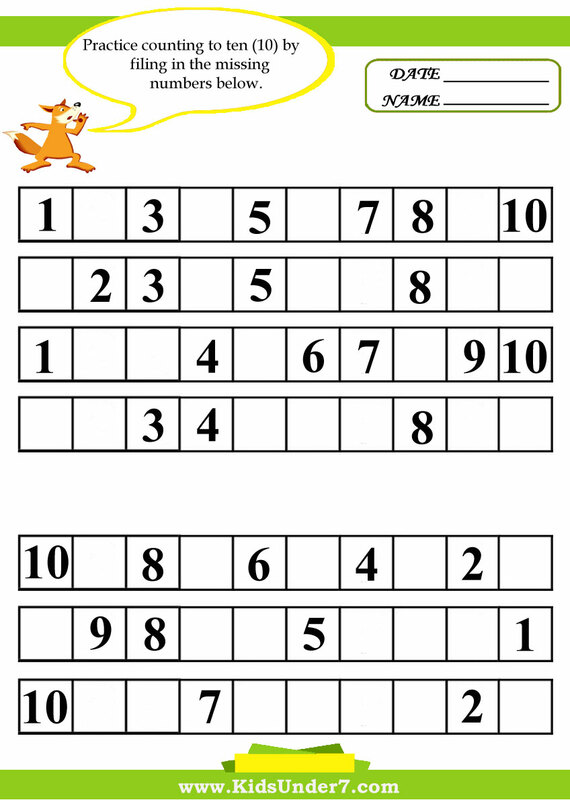 Practice counting to ten (10) by filing in the missing numbers below. 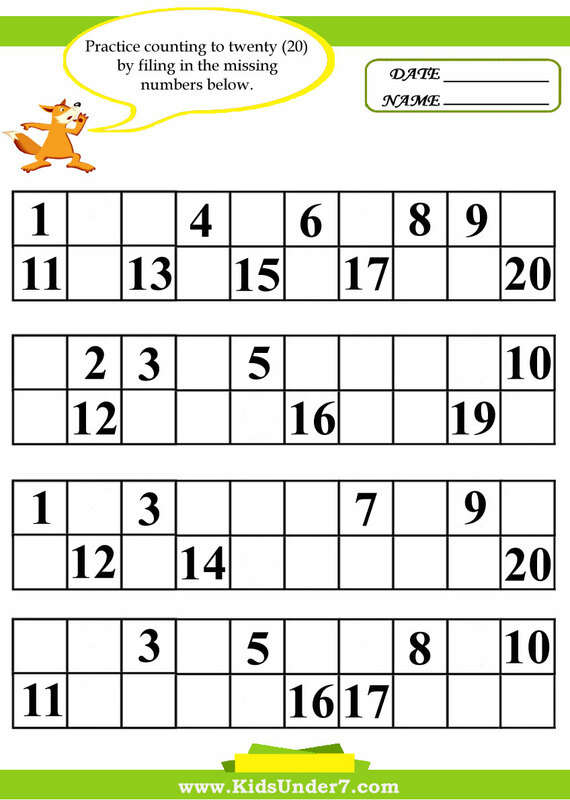 Help kids practice counting to ten (10) with this printable numbers worksheet. 2. Count to 20. 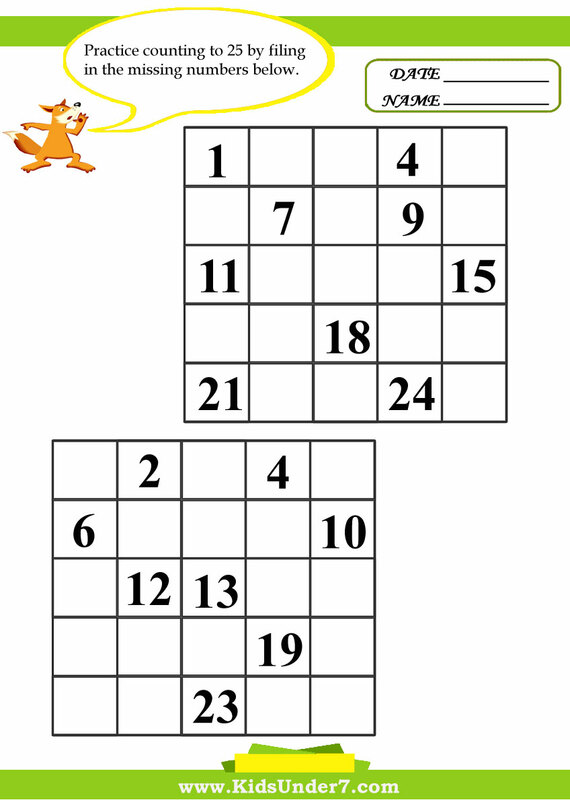 Practice counting to twenty (20) by filing in the missing numbers below. Help kids practice counting to twenty (20) with this printable numbers worksheet. 3. Count to 25. Practice counting to twenty five (25) by filing in the missing numbers below. Help kids practice counting to twenty five (25) with this printable numbers worksheet. 4. Count to 50. 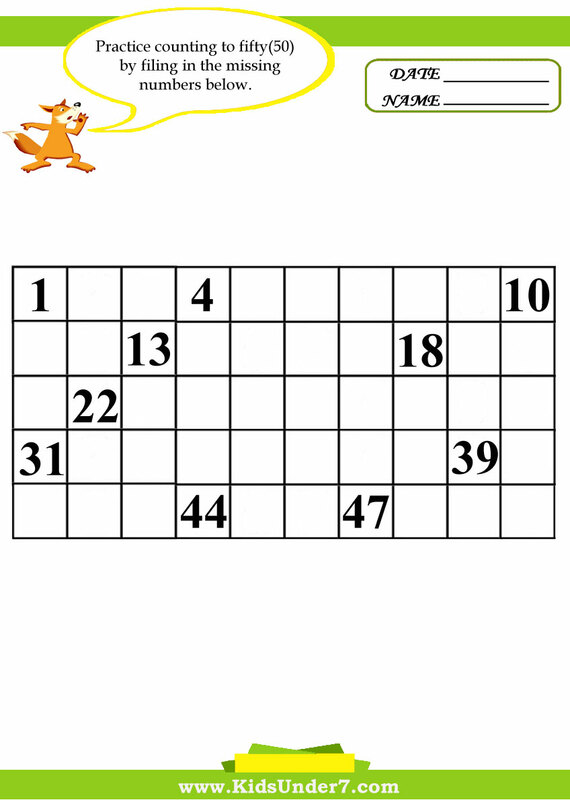 Practice counting to fifty (50) by filing in the missing numbers below. Help kids practice counting to fifty (50) with this printable numbers worksheet. 5. Count to 100. Practice counting to hundred (100) by filing in the missing numbers below. Help kids practice counting to hundred (100) with this printable numbers worksheet.